Today was the first day I have ever welded. 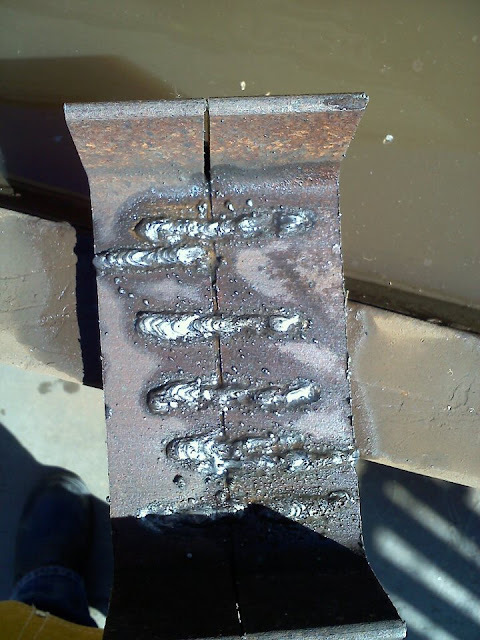 I did arc welds on a scrap piece of metal and did not burn myself or ruin any equipment. I really liked it and this whole new world of opportunities opened. 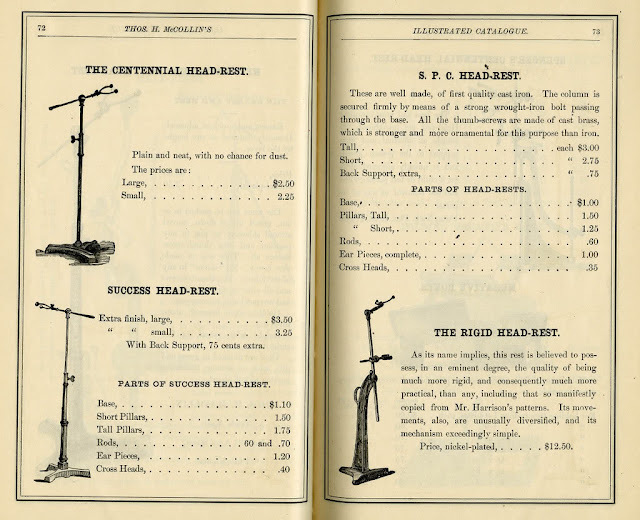 I always wanted a vintage headrest used to make daguerreotypes and wet plate images. The head rest is like a c-stand, but has an armature that comes out and makes a "u" around the sitters neck to stay still. I do not want the stand so much for the sitters, but more of the crazy look of it. Figured I could take that idea and implement it in ways of showcasing my work to hold plates of basically make my own c-stands. So today I googled some headrests and maybe in a month or so when my welds are decent I can give it a go. I also know a really good powder coater and would love to have my stands painted. Next time I go to the powder coater I will take a picture of there massive color collection. They have paints that are textured, metallic, satin, and matte. You can see the different stands on the right. I would love to find scrap metal to make elaborate bases. My first ever arc welds. Not perfect, but the one second from the top is the best I think. Nice and even all the way. The hardest part is remembering to go slow. When I get an auto darkening helmet my lines should be much straighter and well organized. Different types of head rests. 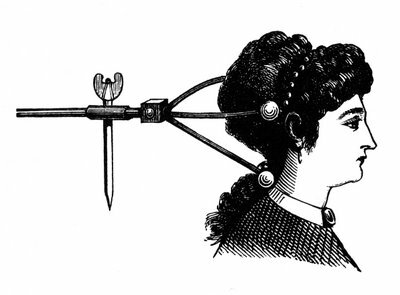 Another diagram of a head rest.